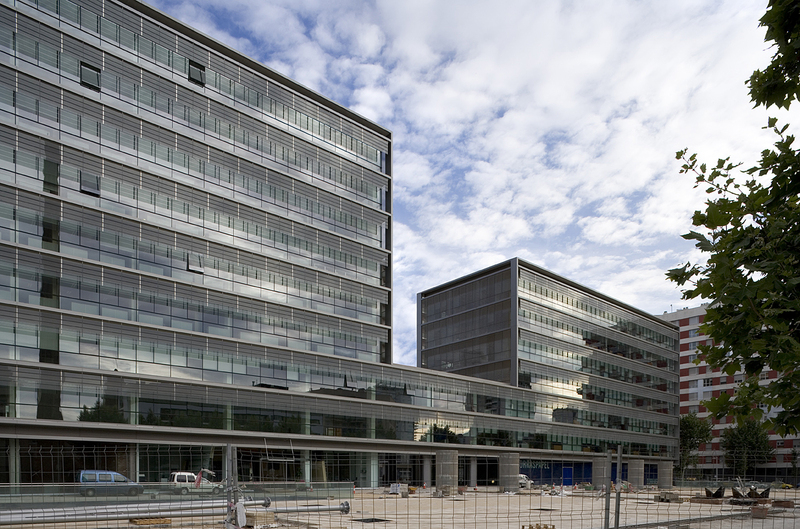 The City 22 @ building, by Eduard Gascón, uses two different external solar protections: overhung tinted glasses and fixed metal deployé. In this case we are treating the southwest and northeast facades protection: fixed metal deployé. You can find the case about the overhung tinted glasses in Filt3rs.net: Overhung tinted glass on 22@ city, by Gascón. 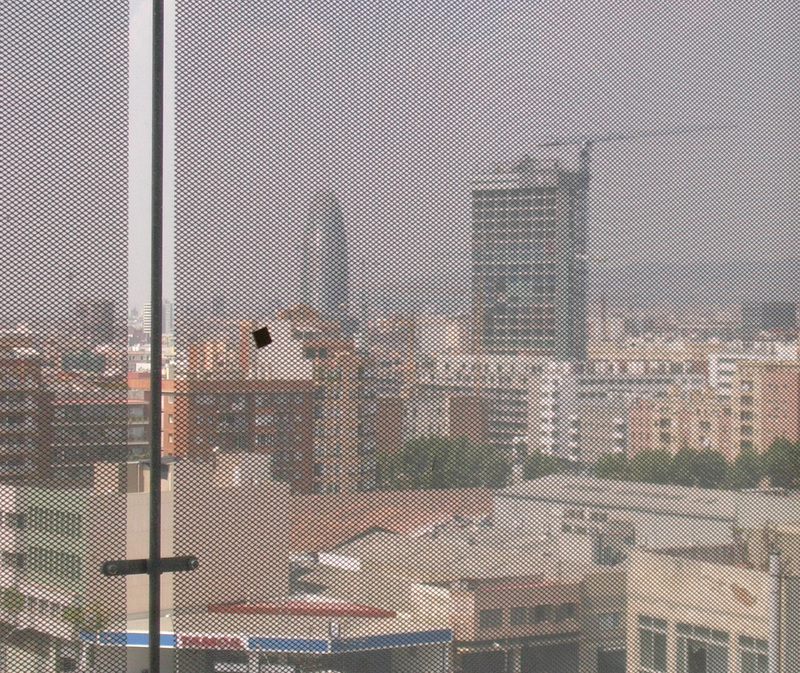 On these facades, the solar protection is a perforated metal panel supported by stretched wires. 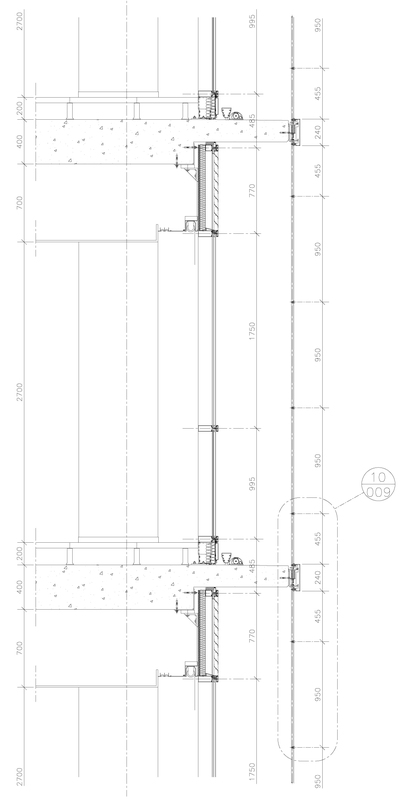 In this type of protection it is difficult to establish the proper perforation rate. More opacity for greater protection means worse outside vision and worse daylight transmission inwards. But more perforation means more solar radiation entering the space. For this reason we recall the effectiveness of expanded metal or "deployé" used in this case. By stretching the cut metal sheet, the strips are deformed so that the sheet becomes a succession of small slats. 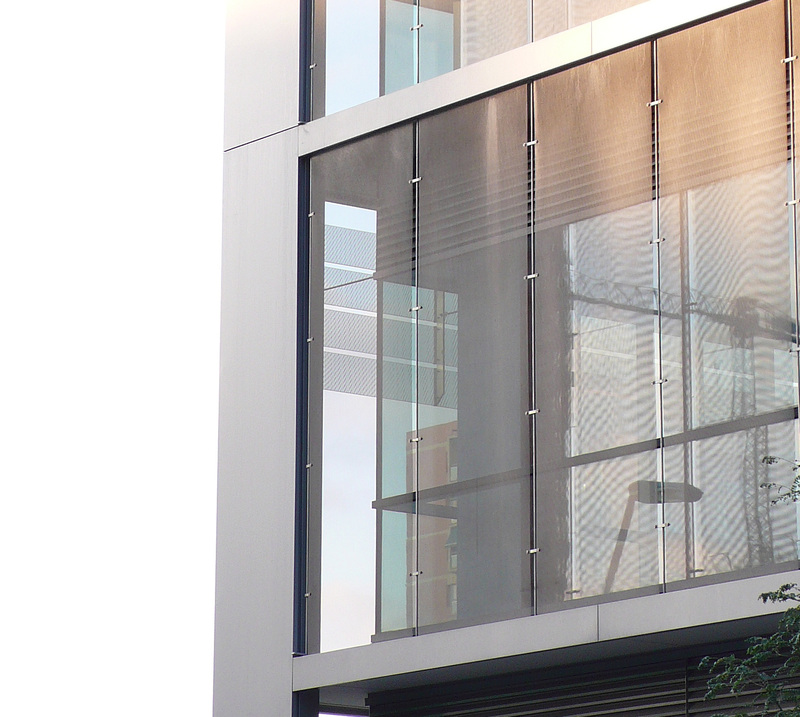 This way solar protection can be significantly increased without blocking outside vision, and with a significant improvement of natural light thanks to the reflection on these slats. Our brain's ability to reconstruct the external view through a frame with low percentage of tiny perforations, allows perfect outside views.